Ultramid is a highly versatile family of polyamides displaying a wide range of processing capabilities and properties, making it the ideal candidate for a variety of aerospace applications. BASF’s Ultramid materials are molding compounds based on PA, PA66, and other various co-polyamides that can come unreinforced, reinforced (glass, minerals, glass beads, etc. ), and formulated with flame retardants. Ultramid displays many favorable properties such as high mechanical strength, stiffness, and thermal stability. It also offers good toughness at low temperatures, favorable sliding friction behavior, and can be easily processed. Polyamides display good resistance to many chemicals such as lubricants, fuels, hydraulic fluids and coolants, dyes, paints, cleaners, degreasing agents, and many other solvents as well. Due to these properties, Ultramid is widely used in industries and applications such as electrical / electronics and transportation. With its desirable properties, track record of success in many markets, and favorable FST properties in select BASF polyamides, Ultramid is an ideal material for aerospace applications. Ultramid polyamides offer an excellent combination of strength, rigidity, and toughness along with dimensional stability across a wide temperature range due to the partial crystalline structure of the material. Low tendency to creep, high impact strength, and fracture resistance can be found across the Ultramid portfolio, especially in reinforced grades. BASF polyamides are among the highest performing insulating materials with very high volume resistance and surface impedance. With these ideal mechanical properties, it’s suitable for several aerospace applications. Several Ultramid grades have been screened for flame, smoke, and toxicity (FST). Table 1 highlights four specific grades: Ultramid C3U (unreinforced PA6/66 copolymer), Ultramid B3U (unreinforced PA6), Ultramid B3UG4 (PA6 reinforced with 20% glass fibers) and Ultramid A3X2G5 (PA66 reinforced with 25% glass fibers). New grades under development will provide additional solutions for the aerospace industry that surpass FST and maintain required strength properties. Future products will include new flame retardant chemistry and varying amounts and types of reinforcing fibers to further target other areas of applications. 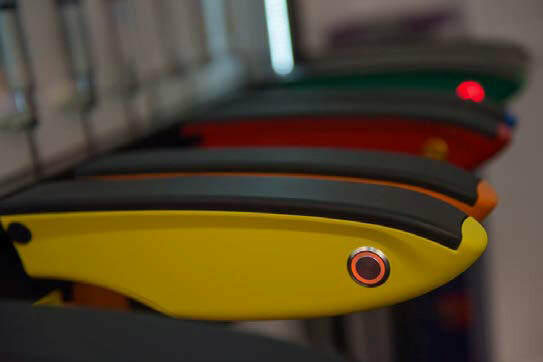 ​Ultramid can be processed by all methods known for thermoplastics, with injection molding and extrusion being the primary means by which it is manufactured. 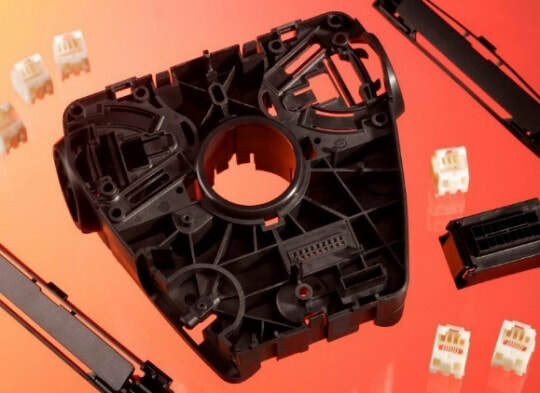 Many other special methods such as multi-component molding, fluid injection technology, overmolding of inserts, and thermoplastic foam injection molding can also be utilized. ​Parts manufactured using Ultramid are easily machined and can also be joined at low cost using a variety of methods, practically all developed for welding thermoplastics, such as vibration welding, spin welding, ultrasonic welding, laser beam welding, infrared welding, and hot gas welding. Ultramid can also be bonded securely to a multitude of materials using adhesive solvents or varnishes.